Whether you’re a DM or a player, inspiration for interesting characters and stories is important. Sometimes it can be tough to find new ideas for your campaign, and you might hit a creativity block. Usually in these circumstances, it’s a good idea to take a break, go for a walk with some music, and let your brain get some fresh air and good blood flow. It’s always good to have some fresh ideas to play with and incorporate. There are a few core values that I’ve taken from some of my favorite stories that I just can’t help but put into most of my games. There are four sources that have influenced me strongly when it comes to inspiration for characters, themes, or adventures. Here is my list of must-reads for getting inspired. Beware, there will be spoilers ahead, but nothing major to the stories themselves. I am still in the middle of The Way of Kings, the first installment of the Stormlight Archive series. Despite not even finishing the story, it has already inspired me to step up my D&D game. From the abundant will-o-wisp like “Spren” spirit creatures to the ancient Shardblade super-weapons, the lore of the world of Roshar is rich with ideas for the taking. 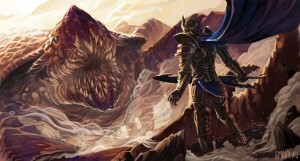 Speaking of lore, the history of this fantasy world is extensive, but fed to the reader in bite sized chunks that leave one wanting more. This is an important lesson for me, as I tend to over-explain too much lore in too little time during my tabletop RPGs. This usually results in the faces of my players glazing over with distraction or boredom. Learning how to feed the story to players was a great technique to take away from The Way of Kings. Let plot events tell the actions of characters in order to keep the listeners asking questions about what is going to happen next, and then follow up with an idea to explain those actions. Overall, this book has inspired me to be a better storyteller in general. I recently had the pleasure of seeing Ira Glass, the creator of This American Life, who spoke about how to be a good story teller. One tactic he mentioned that stuck with me was the “action – action – idea” method. The goal is to let plot events tell actions of characters, in order to keep the listeners asking questions about what is going to happen next, and then to follow up with an idea to explain those actions. In the midst of a celebratory dinner held in the royal court, a Rogue takes his leave and wanders the halls (action). He’s spotted by two guards that begin to question him (action). The Rogue uses his boots of spider-climbing to run up along the wall and attack the guards from above, and their howls quickly alert others nearby. Their armored footsteps echo through the corridors (action). The extra security would prove to be an obstacle between the Rogue and his target, the King (idea). The plot is used to tell a sequence of actions with the intention of putting questions in the listener’s mind: “Where is the rogue going? Why is he wandering the halls? Why would he attack the guards without being provoked?” The idea enters to resolve those questions, leaving the listener’s mind clear and ready for the next set of plot events to happen. This is a super simple mechanic that is a great storytelling tool for GMs and players alike, and this book demonstrates it wonderfully. 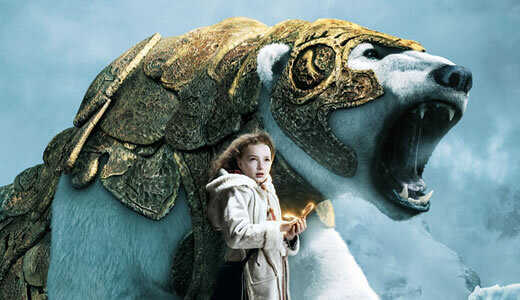 His Dark Materials is my favorite fantasy series to date. It is aimed at a young adult audience, but this coming-of-age story deals with plenty of adult themes like religion, philosophy, and even a little astrophysics. Unfortunately, it is associated with an awful movie, The Golden Compass, which flopped. Don’t let that discourage you from enjoying this three-part epic series, though. It has given me plenty of great ideas and themes that can be applied to both fantasy and sci-fi RPGs alike. Let’s start with my personal favorite idea: parallel realities. The series begins in a world very similar to our own, in terms of locations and geography, but with enough fantasy twists to keep things interesting. For example, everyone in this world has a Daemon, a manifestation of that person’s soul that takes the shape of an animal. With armor-clad bear armies, a knife that can cut through to other dimensions, and an allusion to dark matter and intelligent particles, His Dark Materials has plenty of inspiring ideas, from characters, to quests, to magical items, and campaign themes. There are many detailed aspects of Daemons that I won’t get into because of their importance to the story, but trust me when I say that Daemons alone are worth researching to inspire your campaign or character. As the story progresses, we find out that this world is just one of many hundreds, if not thousands of others. Soon enough, a few people from “our” world get sucked into this multidimensional uprising against a tyrannical super-being who claims to have created the universe. Depending on who you talk to, the video game series Halo either has a great, or convoluted story. 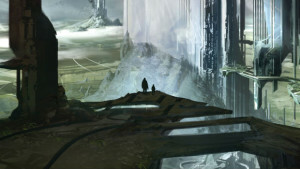 What is undeniable, though, is the sheer amount of mythology and canon that Bungie has created for the Halo universe. Some of the Halo novels are fun and quick reads that lend some back story to familiar characters and stories. My all time favorite Halo book is one whose story takes place 100,000 years before the events of the games, and follows the life of a young Forerunner (the race of aliens who created the Halo rings). Everything about the Forerunners is fascinating, from their simplistic and near-utopian social structure to their super advanced technology labeled with familiar names from ancient history, to their relentless striving to preserve life at all costs. Written by Hugo and Nebula Award winning author Greg Bear, Halo: Cryptum gives us a glimpse into a wildly imaginative and exotic setting that tells what is actually the most interesting story of the Halo universe: the rise of the Flood and the collapse of the Forerunner civilization. 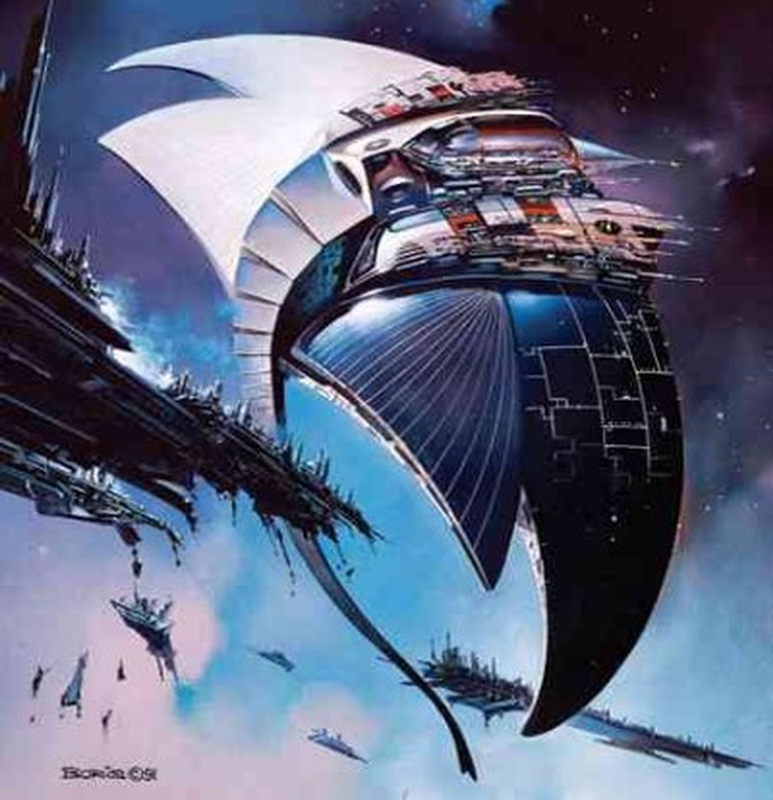 Everything about the Forerunners is fascinating, from their simplistic and near-utopian social structure to their super advanced technology labeled with familiar names from ancient history, to their relentless striving to preserve life at all costs. When paired with political confrontations that span the entire galaxy, a conspiracy to build the Halo superweapons thousands of years in the making, and an Artificial Intelligence whose corruption triggers the collapse of civilization, Halo: Cryptum simply feeds the imagination, and that is it’s greatest triumph. Ancient relics and civilizations are very common occurrences in both fantasy and sci-fi stories. Halo: Cryptum is one the best recommendations I can make for inspiration on how to flesh out such themes. By far the best science fiction novel I’ve ever read, A Fire Upon the Deep explores themes that are uncanny to those we face in the modern age. 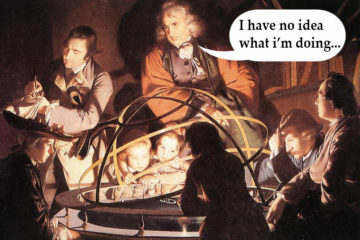 The nature of the internet, genocide, and the development of artificial intelligence are a few topics it touches on. The way it explores these ideas in an awesome sci-fi universe is how it captures it’s readers. There is one single plot device that allows the events of A Fire Upon the Deep to happen. The galaxy is divided into 4 parts, or ‘zones of thought.’ Each zone has different fundamental laws of physics that affect intelligence, both artificial and biological. The center of the galaxy has medieval and primitive worlds, and the further from the center the more advanced the civilizations and their technologies are. In the outermost layer is the ‘Transcend.’ This is where super intelligent beings reside, mostly technological singularities that transcend their civilization and become incomprehensible god-like entities that engage in affairs that are entirely mysterious to the rest of the galaxy. 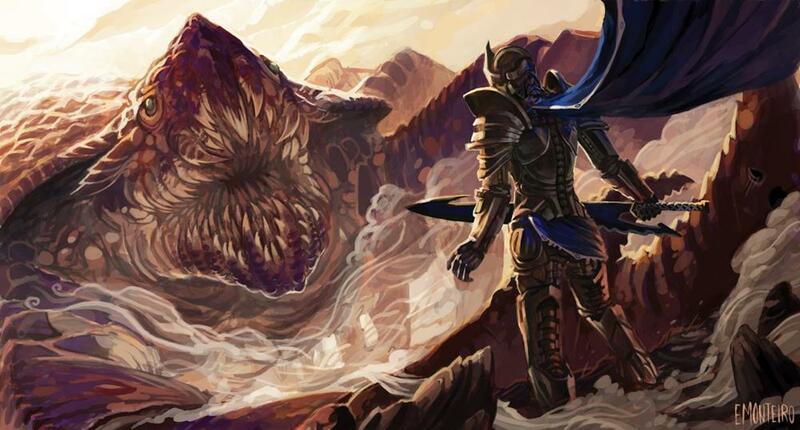 Without the zones of thought, the Blight would be able to wipe out any possible resistance unimaginably quickly. Since the zones exist, though, the protagonists can use them to evade the super-intelligence long enough for the story to pan out. This is an important feature, because the main antagonist of the story, a malicious Transcendent known as the Blight, is an ancient super-intelligence more powerful than any of the other Transcendents. Without the zones of thought, the Blight would be able to wipe out any possible resistance unimaginably quickly. Since the zones exist, though, the protagonists can use them to evade the super-intelligence long enough for the story to pan out. The zones of thought also allow a parallel story to be told. It happens to be that the key to defeating the most powerful entity in the galaxy lies in the “Unthinking Depths”, where only the most basic computers can function, and faster than light travel isn’t even possible. Even worse, this key is in the hands of a tyrannical ruler on an exotic medieval planet, amidst a continent-wide civil war. As one group of heroes is scanning the Net -cynically called the “Net of a Million Lies”- for news about which sectors of civilization were obliterated, and the progress of the resistance against the Blight, another group of heroes is just trying to survive as captives of an archaic alien race. The shifting in scales is exhilarating to read, as it often changes just on the edge of a huge plot point. Such storytelling mechanics and laws of the universe can be easily applied to sci-fi and fantasy RPGs alike, especially when you throw magic into the mix. 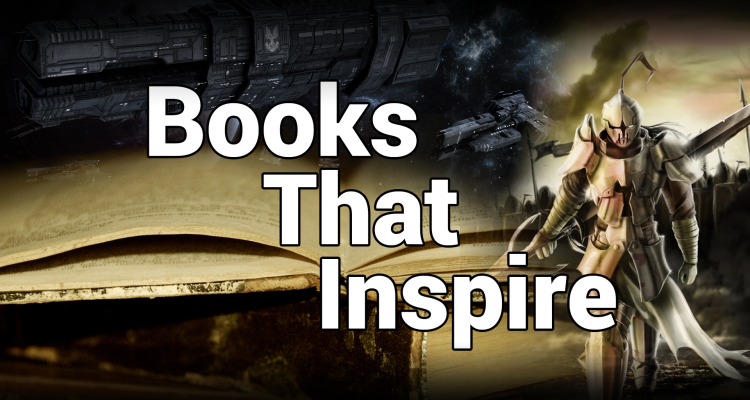 No doubt there are hundreds of other wonderful books and stories to draw inspiration from. These are just a few that I would highly recommend to read, and that I always turn to when designing my own campaigns and characters. Which books would you recommend reading to get the creative juices flowing?